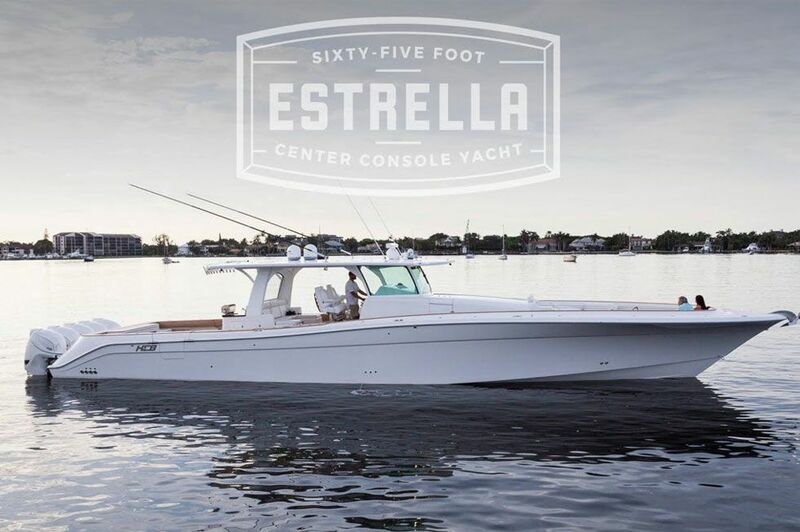 We could not rest on calling this handcrafted masterpiece the world’s largest Center Console, introducing the first ever Mega Center Console Yacht™ — the 65’ Estrella. 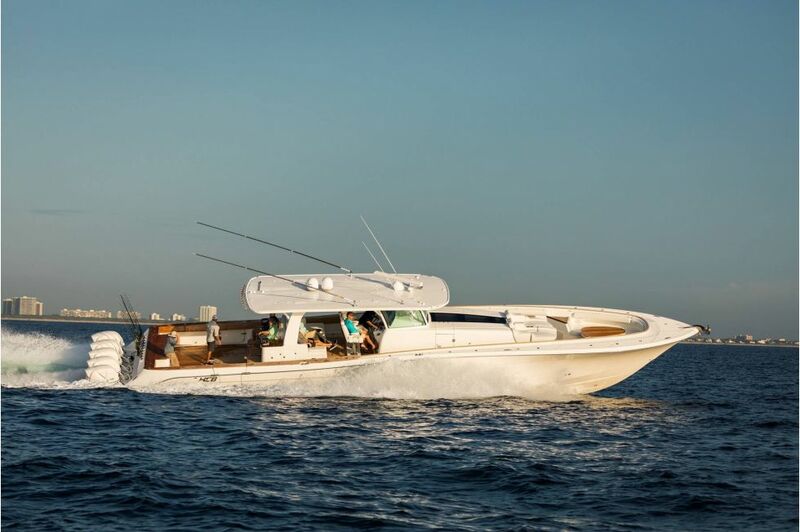 This vessel has all the comfort and styling of any sportfishing or cruising yacht in its class, but far surpasses them in versatile use and performance. 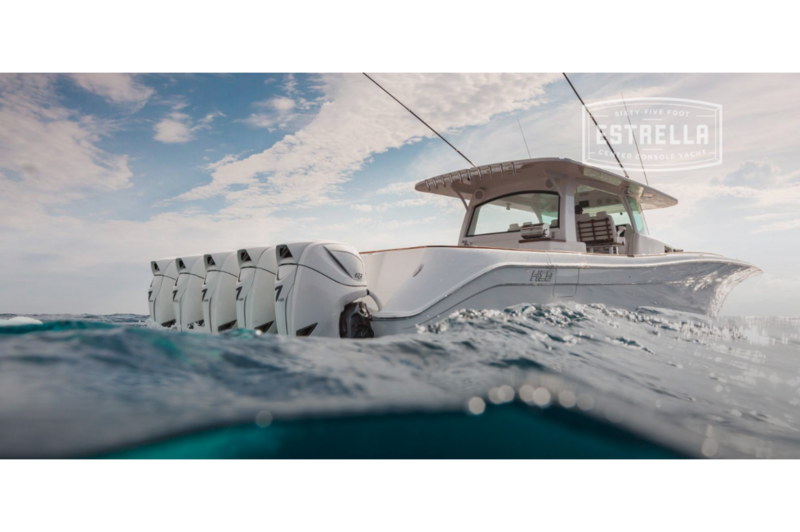 With quint (5) outboard power, you are ensured a more enjoyable ownership experience due to ease of use and manageable maintenance. 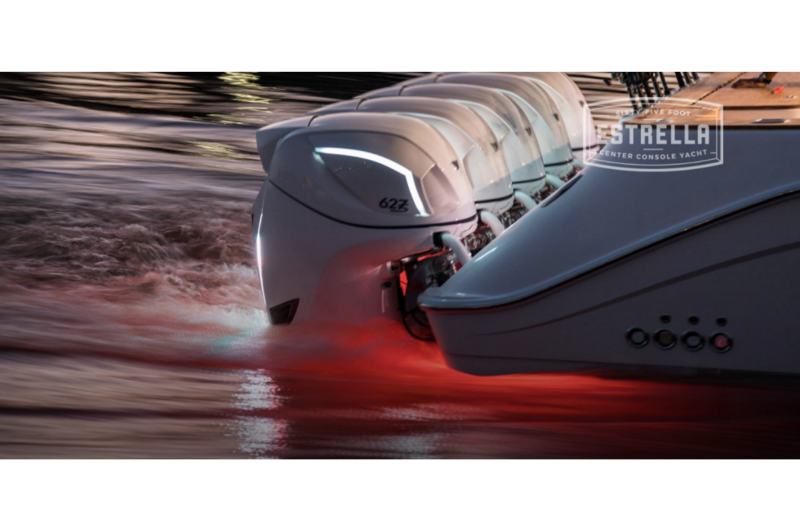 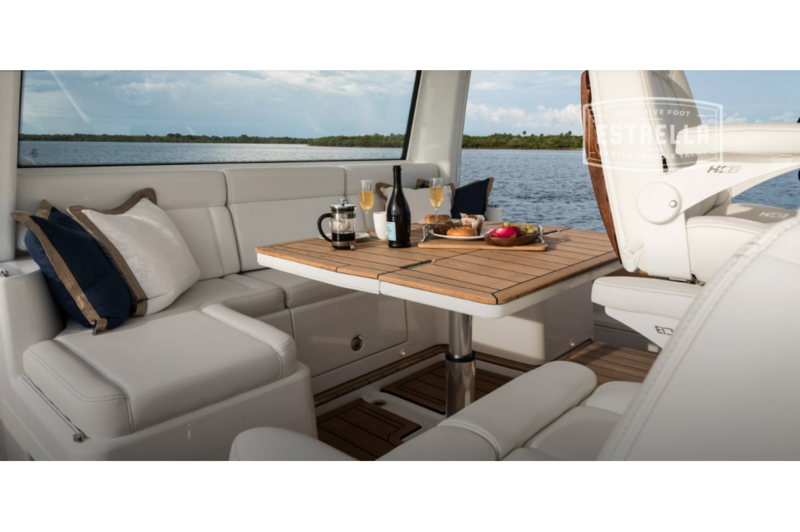 And the ride and performance are unmatched, the yacht is easier to control than competitor’s twenty-five-foot models. 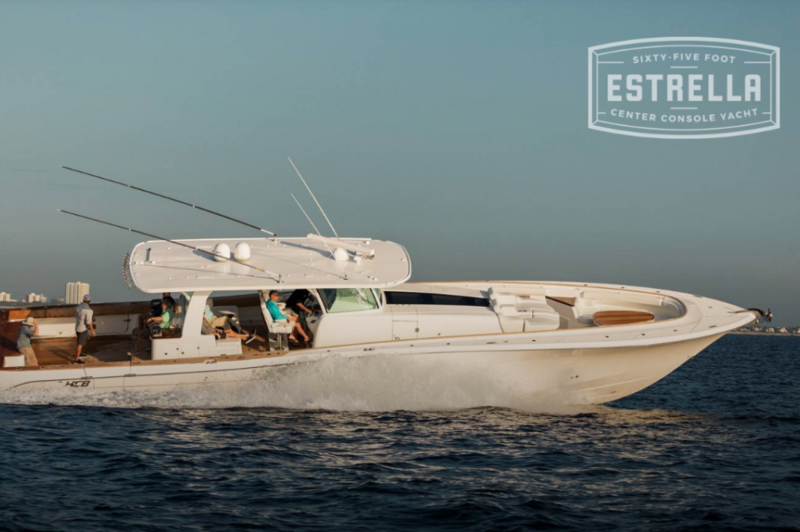 There is an unimaginable amount of comfort and space aboard with a huge cockpit, a cabin that is twice as large as other center consoles, standard bow and stern thrusters, and large 1,800 gallon fuel capacity for long range. 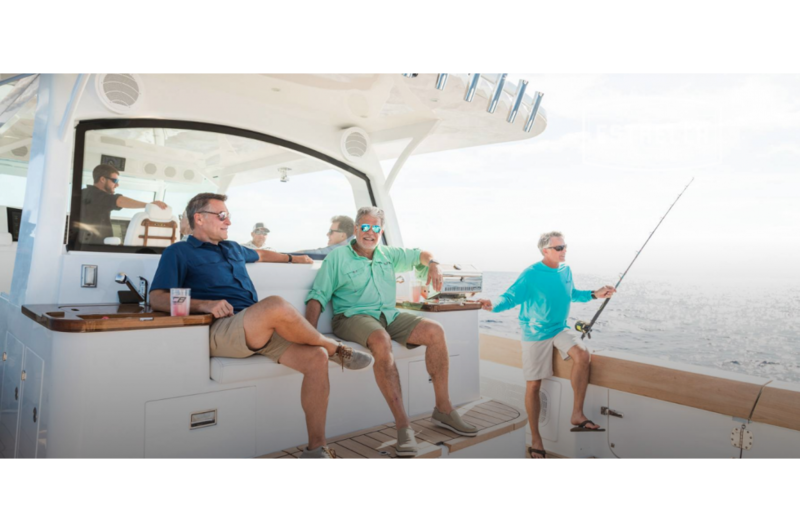 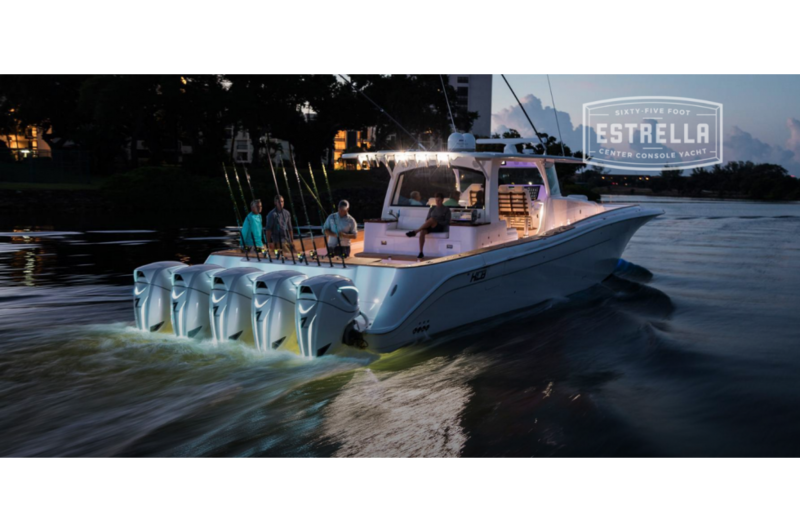 The five-person forward facing helm seats overlook three large Garmin® screens and have great line-of-site over the bow, they also can be rotated 180 degrees to form a 10-person express dining area with the five-person sleigh seat, all under the hard top. 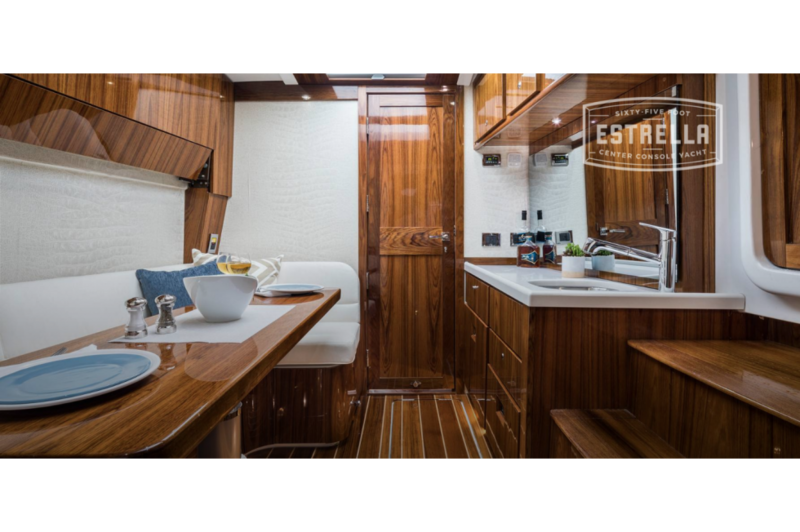 The cabin boasts sleeping for up to five persons with large master stateroom, convertible settee, and spacious bathroom with separate walk-in shower. 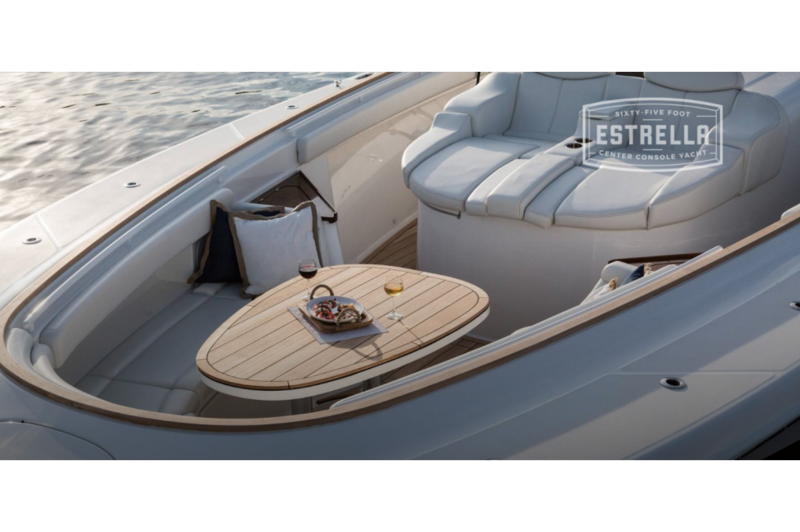 There is a comfortable European inspired bow seating area and deluxe front lounge for those wishing to sun worship. 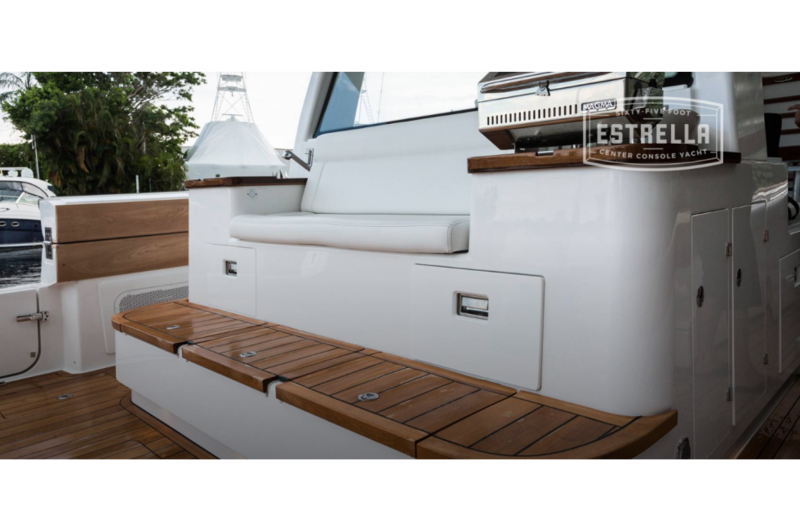 And aft is a customizable rear mezzanine seating area with a variety of feature configurations. 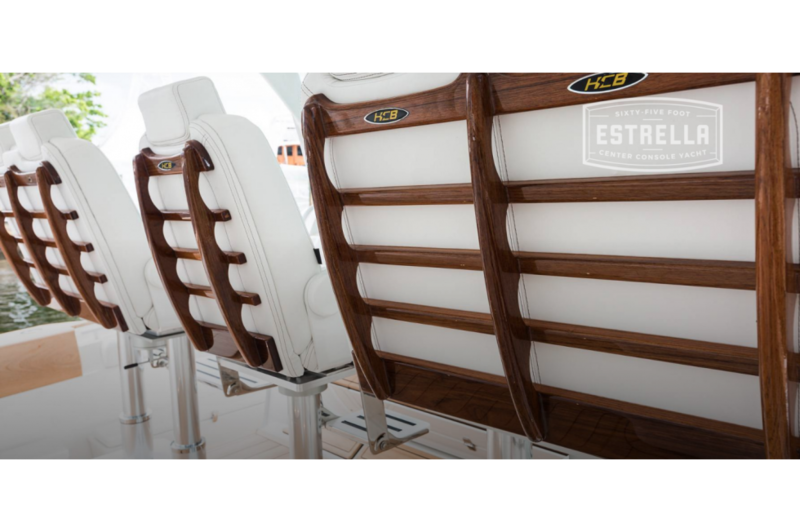 Finally, for the mechanically inclined there is a walk-in machine room where everything is within reach and out of the elements. 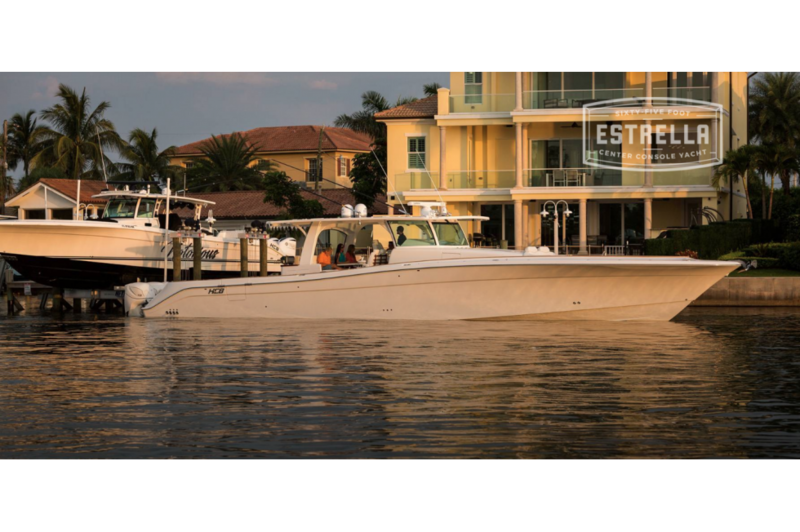 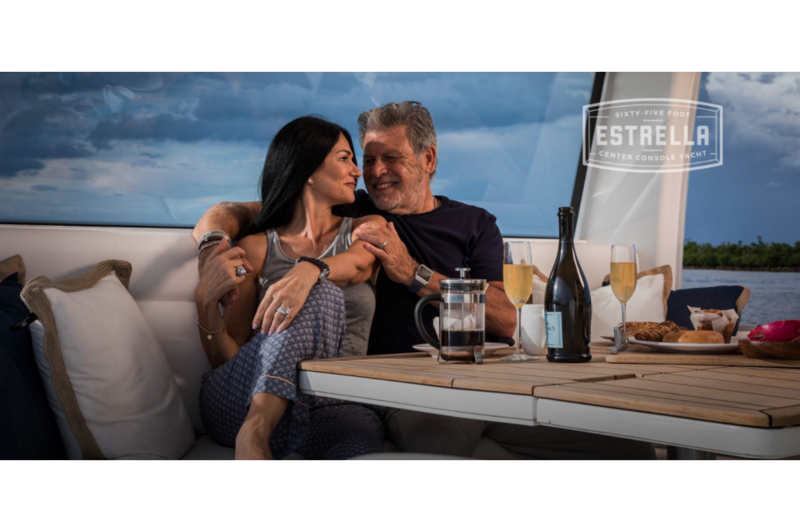 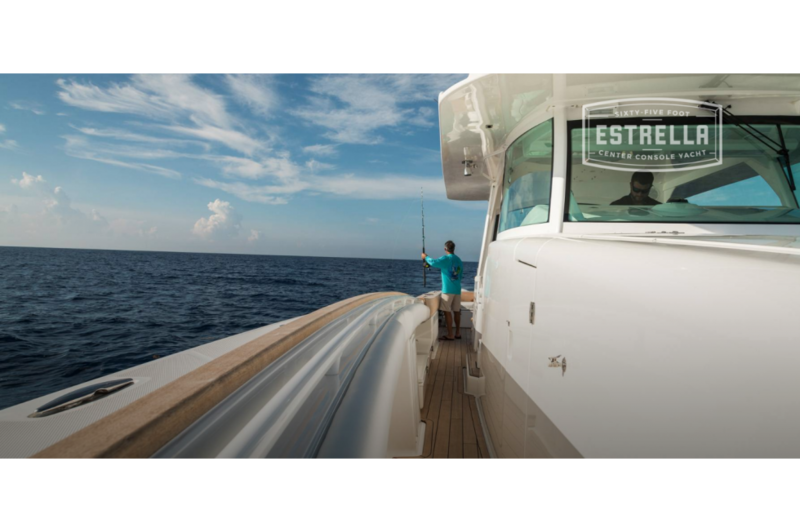 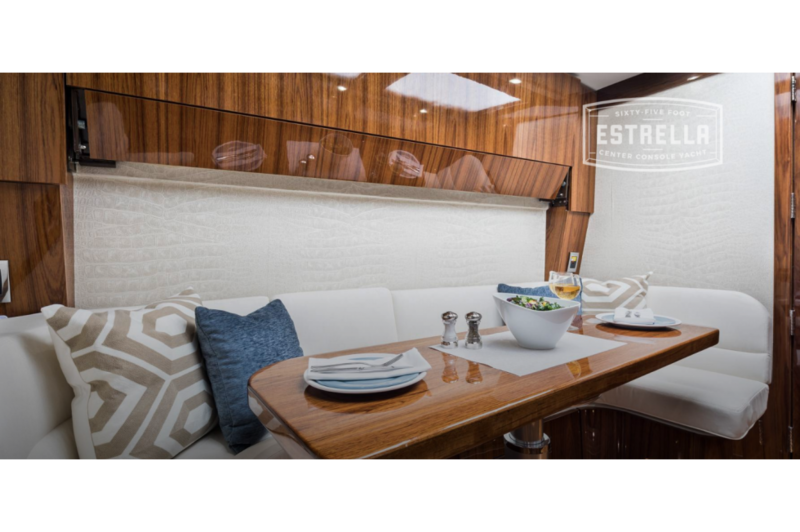 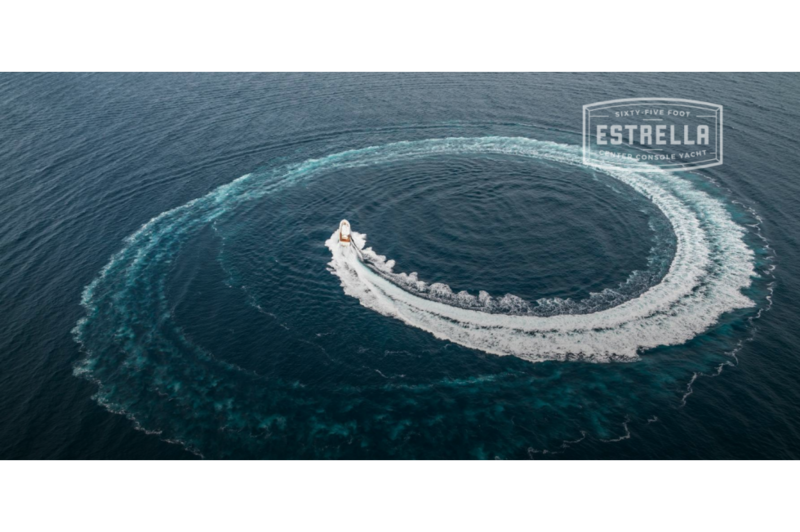 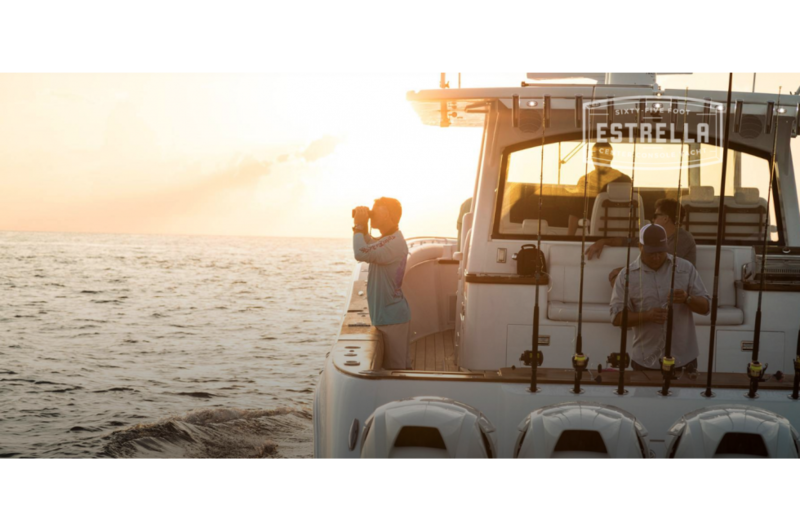 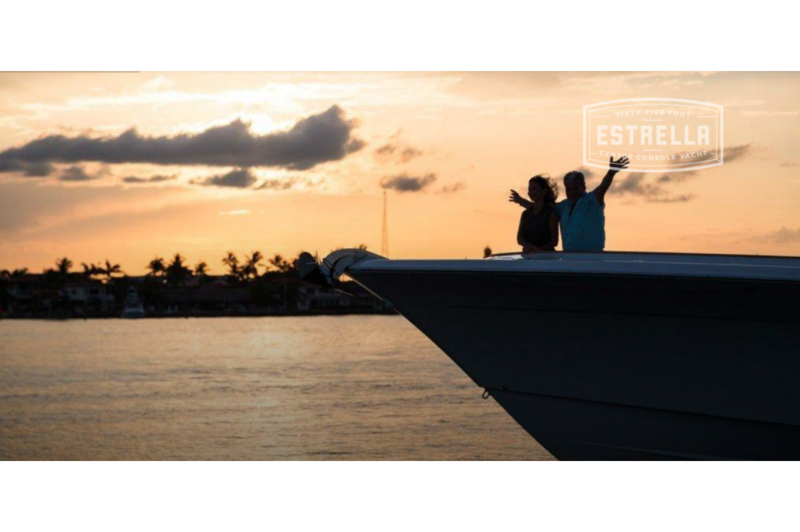 For the perfectionist, the Estrella is an impeccably conceived and artfully crafted Mega Center Console Yacht giving you high-class luxury and comfort without sacrificing performance.